The Days of Johann, an agility dog! 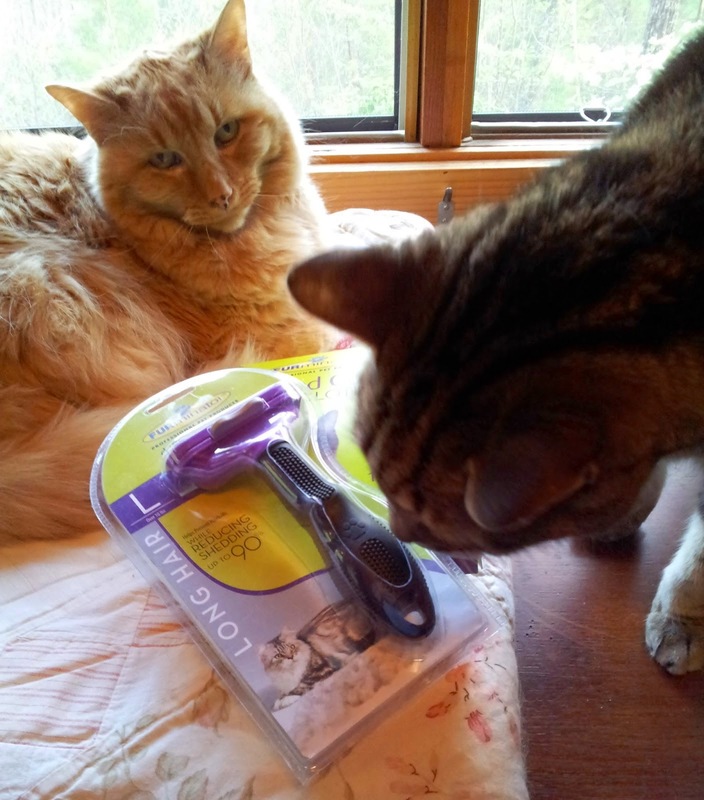 : Giveaway: Tackling blow coat season with #PetHairSolutions from FURminator! Giveaway: Tackling blow coat season with #PetHairSolutions from FURminator! It's that time of year, yep, it's blow coat season! Even our indoor kitties are experiencing heavier amounts of shedding this time of year. Combine that with all the sticks, dirt, little pebbles, leaves and more that Gracie and I bring into the cabin, you've got a good idea of what happens to low hanging tummies of older neutered kitties....yep, mats! That's why we turn to FURminator pet hair solutions to tackle the extra fur and mats that accumulate on Wolfie and Wiggy. And they really don't mind a good comb out with the FURminator deshedding tool, it keeps them from getting a hairball, it keeps them a little cooler in the summer months, and keeps the fur flying to a minimum too! A little action with the FURminator and they are happy little campers at our cabin in the mountains. 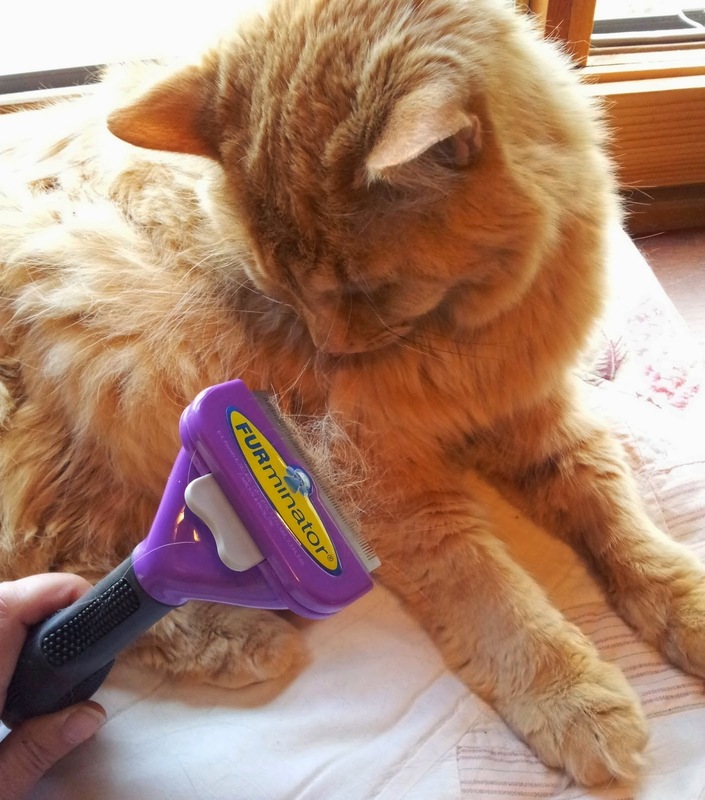 Using the FURminator shedding solutions products helps reduce shedding up to 90 percent, cool huh? One of you, one of our lucky readers, can win your choice of FURminator deShedding solutions products! All you have to do is follow the instructions in the widget below to enter to win! We'll announce the winner in a future blog post, or you can check back here in the comments. I would use it on my dog, Stanley, after he gets brushed; he's pretty wiry, so I hope it works! Would LOVE one of these for my Border Collie X Rough Collie! I have two cats who are currently shedding like mad, so I'd love one of these to keep me sane! My cat is shedding like crazy right now so it would be nice to own a proven tool like a Furminator for when I groom him to cut down on the loose hair that ends up everywhere. Not sure if I would get the small cat or the large dog Furminator because I have one of each that needs a ton of fur removed in preparation for summer! I would use the Furminator on my Sheltie. You wouldn't believe how much he sheds! I need this for my Pomeranian. He is is serious need of a good deshedding. I would love to try this out for my cavalier spaniel who sheds so much everyday that I can build a mountain out of it. I need this for my cat! Every morning I vacuum an entire cat off my kitchen floor. Its a wonder how my cats are not naked with all the hair I vacuum.